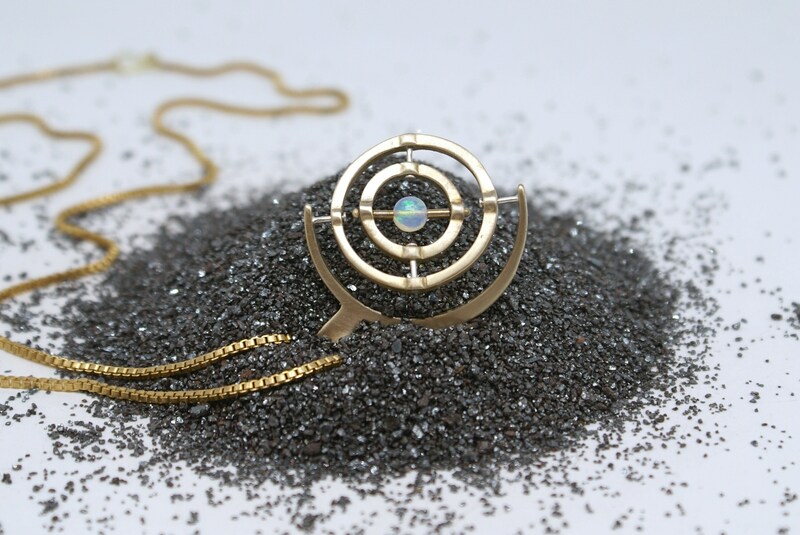 A bronze crescent moon frame curves around two bronze spinning rings, holding within a gorgeous, flashy, spherical opal bead. The frame suspends the inner rings with silver pins, allowing the rings to rotate in different directions with a flick of a finger. 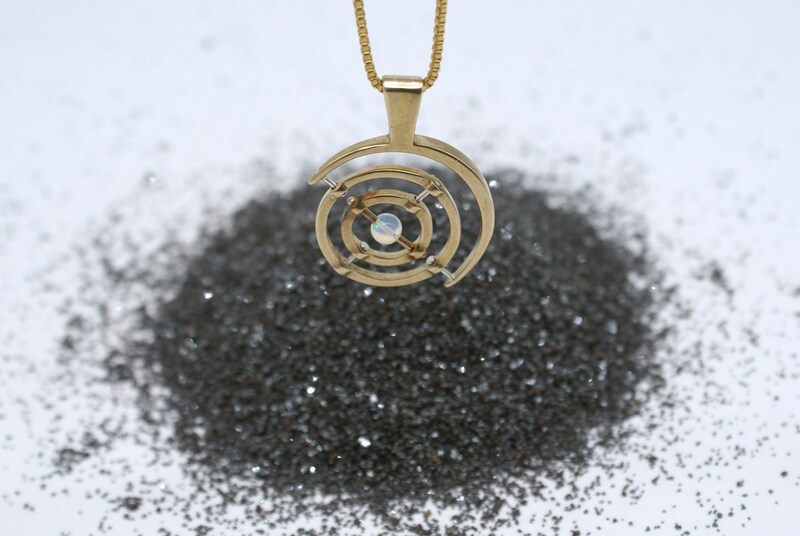 The bail (where the pendant connects with the chain) is designed to double as a wand to hold while spinning the rings! 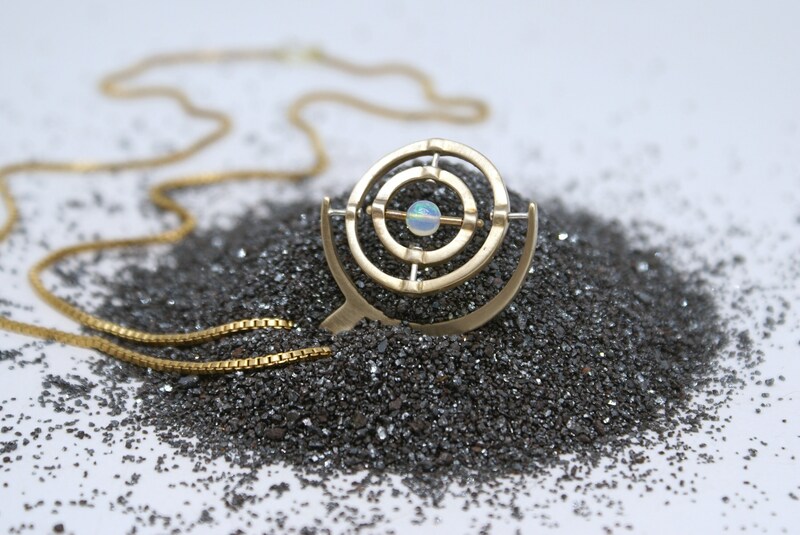 The pendant measures about 1.25" across and 1.5" tall, comes on a 24" brass box chain (which is easily switched out for another chain), and is finished with a lobster-claw clasp.